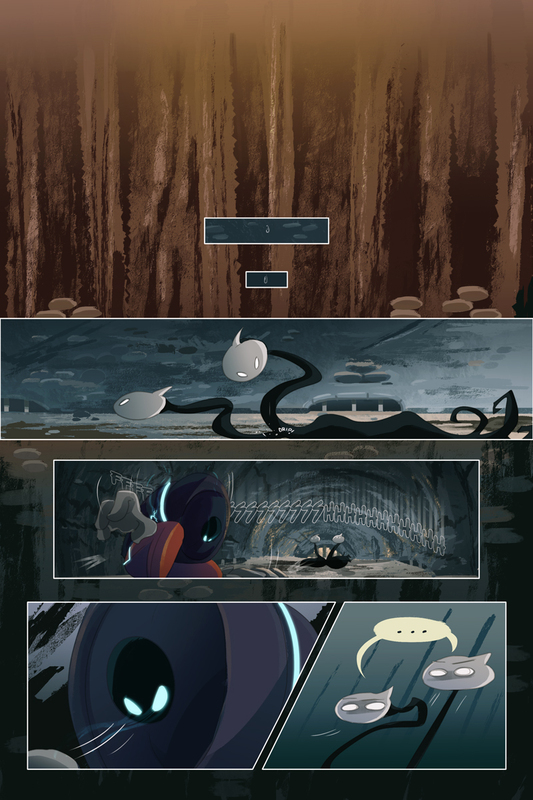 "Chapter 7, prologue page 4"
TeePublic has a Cyber Monday sale with everything 30% off (shirts, totebags, prints, you name it!) 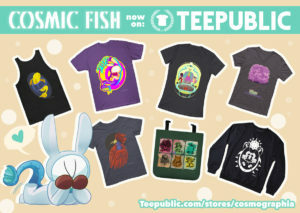 To top it off (pun intended), there are Cosmic Fish shirts available, so get them while you can! !